If you drive to work every day, chances are that keeping your fuel tank full is getting somewhat pricey. Increasing numbers of people are considering alternative ways to commute, including carpooling and various forms of public transportation. These options aren't possible for everyone of course, especially if you're a tradesman with a van! The most obvious way to cut down on fuel usage is to purchase a van that gets excellent fuel mileage. Don't worry, though, if a new van isn't part of your future plans. 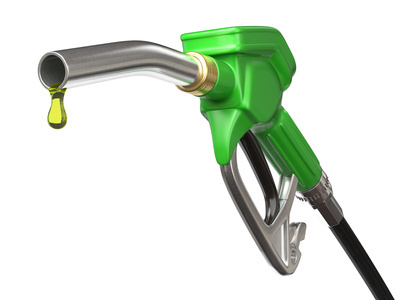 A few minor changes in your driving habits can help your current car to use less fuel. The heavier your van, the more fuel it takes to get it and keep it moving. Clean out your van, leaving only what's necessary. Don't remove your spare tire, tools, or other required work items, but get rid of the miscellaneous non-essentials that have been riding around in the back of your van. The faster you go, the more fuel your car uses. Going at higher speeds won't get you to your destination in much less time, but will consume a considerably larger amount of fuel. An engine in a higher gear is operating at a lower rate of rotations per minute (rpm), and requires less fuel. Use the highest gear at which it works efficiently. Keep in mind, though, that too high of a gear is hard on the engine—if you feel it begin to labor or lag, it's time to downshift. Accelerating quickly drives up the engine's rotations per minute. Upshifting a little sooner will cause you to accelerate more gradually, but will reduce the workload on the engine. There's no need to accelerate right up to a stop sign or red light—you're going to have to stop in a few moments, anyway. Instead, start decelerating farther back, shift into neutral, and allow the vehicle's existing momentum to carry it up to the stopping point. This one's a little trickier, and should be used only with care. Push in the clutch when starting down a hill, and let gravity do its work. By coasting downhill, you remove most of the workload from the engine. This does entail some loss of control, so be ready to take your foot from the clutch at need. When shifting back into gear, make sure that you choose the gear appropriate for your current speed. Note that this is not recommended for automatic vehicles because they require a driver to shift between neutral and a drive gear, it might not be possible to reengage the engine quickly enough in an emergency situation. Admittedly, these are very small adjustments to your driving habits. No single driving technique will result in a huge savings of fuel. Still, even minor changes can have a cumulative effect over time. When used together and with consistency, these techniques could help to lower the rising cost of your van usage.